I have formally started lecturing at Hang Seng Management College on January 22, 2014 on the topic of “Digital Public Relations” which is supposed to be a new module that other universities have not yet introduced as I was told. We had very successful events being run with PayPal on Jan 16 (about 54 people attended) and Google + Apps King on Jan 22 (about 76 people attended) with unexpected number people showed up. Thank you all who have come and provided us such great support. I have uploaded my presentation at the PayPal seminar “Building Consumer Brands Online from Scratch” for those who are interested. I am very excited to be invited again by HKTDC to speak at their Hong Kong Business Seminar in Kuala Lumpur, Malaysia on March 12, 2014. My topic is going to be “Hong Kong: The Gateway for Marketing Your Products in China”. I really look forward to this great opportunity! When we talk about Digital Public Relations, the most important thing is to know that the major momentum behind DigitalAGE and MobileAGE is from the screens of 4 to 10 inches. If you cannot conquer using contents that are fitting to this most basic requirement, you will not be successful. In the Hang Seng Management College Module, I am basically covering the following topics on Digital Public Relations. Personally, I think we are facing a more difficult task than we were in the previous generation when TV, Newspapers and Magazines were still dominating our mainstream of media channels! I hope to connect with you soon in the coming future to share more insights and learning from our good & bad experiences! 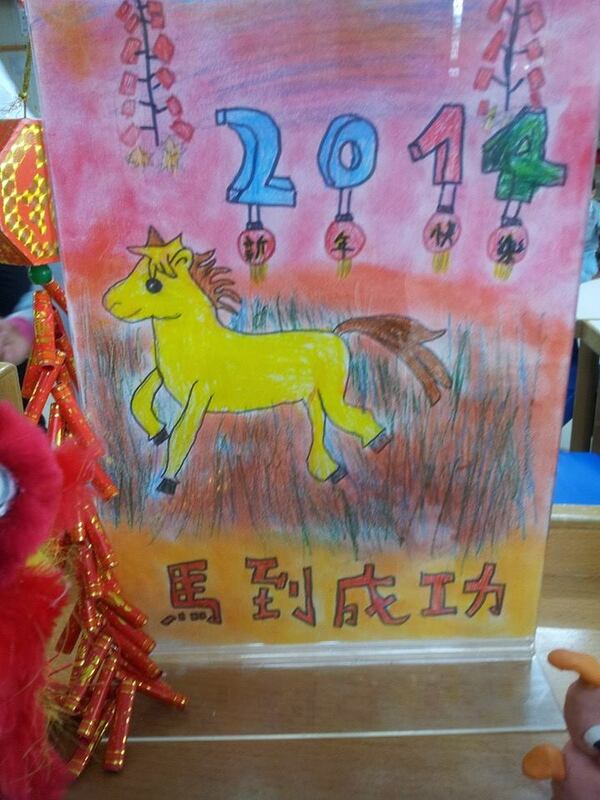 Happy New Year and Wish you a Very Prosperous Year of 2014! As new year arrived, we see the market is getting very active with different marketing activities. We are excited and honoured to have joint events with PayPal on Jan 16 and Google + Apps King on Jan 22. There are limited seats and feel free to register early. I am also very honoured to have accepted the invitation of the appointment by Hang Seng Management College staring in January, 2014 as guest lecturer in the School of Communication for their new Module “Digital Public Relations” of Bachelor of Journalism and Communication (Honours) Programme. 2. Are you already advertising on Google/Baidu/Bing (Yahoo) using Mobile Bidding setting? 3. Are you already advertising using location base filter or SMS for mobile devices? 4. Are your online advertisements having location or click-to-call extensions to increase conversion from mobile devices? 5. Are you purposely recruiting “loyal” members in your mobile database for future direct marketing? I look forward to connecting with you more in 2014. Have a great year! Can your Marketing Messages be seen on iPhones & Galaxy Notes? Hope you are well! Are you promoting your products & services on Google, Facebook, YouTube, Weibo, WeChat? What are you doing to enable your marketing and promotion messages are being seen correctly on iPhones, iPads, Galaxy Notes, Galaxy Tabs….? If you are interested on how we are approaching the market, we have been very diligently posting our thoughts and strategies on Adams Facebook Fan Page, please “LIKE” us to show your support and appreciation. Recently, we helped a client to promote their coconut oil product using our consumer online magazine www.ladies.gig.hk, the result was exceptionally overwhelming with a lot of people registering for product samples and we had to re-run for extra quality of products. In case you may have similar products that are targeting “Ladies” customers, we welcome co-marketing opportunities. You may reference the coconut oil promotion to come up other innovative ideas. Have you “Liked” Adams Facebook Fan Page? We have been working very hard to put a lot of thoughts of Marketing on our page lately. We hope you will enjoy the sharings! on September 5, 2013. There are still limited seats available if you or your friends have not registered yet! We are in the process are planning to launch a new course on October 17, 2013 “The Secret of Adams Search Engine Strategy Success” for entry level e-Marketers covering topics of how to best leverage Google, Yahoo, Baidu with the tools commonly available in the Market with most cost-effective way. It will be very thorough and detailed in terms of making comparison of different tools. For more information, please stay tuned. We live in a different world of internet and mobile devices. People are connected in a distance through facebook, skype, twitter, weibo, instagram…etc. There seems to be boundless even when you are flying on a plane, climbing in the highest mountain of Himalaya, walking in the hottest dessert of Sahara, diving in the deepest sea of pacific ocean, exploring the coldest weather of the north pole. We are connected, yet distance apart. Feeling maybe connected but human touches can never be replaced by the screens, monitors, iPad, tablet PC’s…etc. There are just too many aspects of life that should not be accomplished by Whatsapp, WeChat, Line, Kakao or any sort. You can never be able to look into somebody’s eye through a webcam, you can n ever be able to hug someone you love via a video call, you can never kiss someone who is dear in your heart of the photos you share. What is the real point of our world today if you are so connected and so apart. The connection is only able through a paid service by a telecommunication company. Can we connect without paying? Can we connect without a device? Can we connect without a medium? It is our mind. Our mind has no limit, it facilitates us to go wherever in the world, you may send wishes to anyone, anytime, anywhere without a dime. Are we really mindful to the smallest details and feelings? Our mind can never travels far if we never care for the minute details of our surroundings. Can you be mindful when you are tired? Can you be mindful when you are running out of time? Can you be mindful when you don’t care? Time and space and will could be the sheer power behind your mindfulness. Only the ones we really ready for trade off these pricesless entities may experience the joyest satisfaction of the glory a mindful heart may bring. Only love can drive through your mind to act unconditionally. Top 5 most important tasks for Marketers in the Year of Snake in 2013! May I wish you a very Happy and Prosperous Year of Snake in 2013! 2013 is a going to be a great year for all of us and there are just so many things we need to do as marketers. In his 80’s, my father was born in the Year of Snake and he has started to use Android based 9.7 inch Tablet PC last month by dumping his “slow motion” desktop PC. If you are following what I am trying to say here, we must run faster to catch up the “Mobile Age”. According to the figure of Office of the Communications Authority in November 2012, there are over 9.9M mobile subscribers in Hong Kong using 2.5G and 3G/4G and similarly in China, there are 420M mobile internet users (74% of total Internet population of 564M) as of end of 2012 as reported by CNNIC. Mobile Ready Website: Take a look at your corporate website or promotional site using iPhone, Galaxy Note, Galaxy Tab, mimi iPad, iPad…etc (Yes, I mean all of them as you can never restrict who is using what to access your site!). If you still have to scratch your fingers and expand the screen to see clearly the texts of your site, you are going to lose to your competition very soon. Even you may see your site clearly, the second test is to see if you can use your fingers to point at menu items freely without making mistakes! Customer Mobile Phone Database: WhatsApp and WeChat in Hong Kong and China are taking the market by storm and to certain extend stilling the “air time” of Facebook and Sina Weibo. My personal estimation that over 80-90%of the working community is using Smartphones. Hence, you don’t have any choice but communicate with your customers using these means. But you can’t do it without purposely collecting their mobile phone numbers! However, you still need to observe the Unsolicited Electronic Messages Ordinance (UEMO) and Guidance on the Collection and Use of Personal Data in Direct Marketing. Google Mobile Ads: According to the ranking showing on www.alexa.com as of Feb 18, 2013, Google is now No.1 website in Hong Kong and No.5 website in China. This is largely because nearly all most popular mobile devices are pre-installed with Google search apps and functions. If you are planning to advertise on mobile platforms, Google is the single most ready and available choice you can choose both from Search Engine Marketing (SEM) and Display (banner) Advertising perspectives. There are special ways in linking your phone numbers and addresses in your Ads to invoking dialing or Google map display that would make your Ads more actionable in your Google Mobiles Ads. Online Customer Service: Mobility is giving people access to the Internet even more easier than before. There deemed to be more online enquiries especially during out of office hours if you playing the game right and tactful. Response time for online customer support is going to be the determining factor for your success in the coming months if not days! Facebook Sponsored Story Ads? : Facebook is not able to show Social Ads on mobile phones but it is possible to show Sponsored Stories Ads. So when you create your Ads on Facebook, you must choose to show Social Activities in order to get your Ads through to mobile phones. Apparently, data is showing that the click-through-rate is comparative higher through sponsored stories than Ads. For other training courses, our China e-Marketing course is scheduled to continue to cooperate with Tradelink in a quarterly fashion in 2013 (next one on March 14, 2013) and the renowned e-Marketing Strategy course is also available regularly (next one on March 21, 2013). Please feel free to refer them to your friends and other marketers to join for us. I was honored to have chances to speak at HKTDC events about some of the thoughts on Social Media and Mobile Marketing in Hong Kong and China during November and December of 2012. Here are some related articles for your reading if you are interested. I hope the above information is useful for you. I look forward to connecting with you soon. Have a great year ahead! 8.9M Mobile Users in HK. Mobile Marketing is a MUST!! Our next e-Marketing Training is on Sep 20, 2012, the registration is open now. if you have friends who are interested to join, please feel free to forward this link to them for us (www.adamshk.com/trainings/strategy_of_emarketing_training.htm). I am excited to inform you that we are in the middle of compiling a brand new website of Adams with most of our updated news showing on www.adams.com.hk (it also works for www.白武士.公司.香港). Did you know it is free to bundle a Chinese domain? I only found out at the HKIRC event on Aug 22, 2012. We live in an Internet Age, more accurately….we live in a “MOBILE AGE”. In Hong Kong, according to the Office of the Communications Authority, there are nearly 9M 2.5G/3G/4G mobile subscribers as of May, 2012. How can we win on WhatsApp is the very question I am asking myself every day. WHY? WhatsApp has successfully stolen the mass of public who are used to chat on Facebook and to certain extend discussion forums. However, there is no official advertising channel on WhatsApp, advertisers have no formal ways to push their marketing message by using this platform. Well, you can still do it manually but it is going to be difficult and, in Hong Kong, you must also observe the UEMO (Unsolicited Electronic Message Ordinance). I heard in a seminar from WeChat (Product of Tencent, producer of famous “QQ” in China), that they are opening advertising channel on this WhatsApp equivalent product. This is good news to advertiser and who want to penetrate the China Market. - Have you set your SEM (Search Engine Marketing) to include Mobile devices on Google? - Are your advertisements showing on Google Mobile Network (AdMob)? - Are you purposely collecting mobile phone numbers of your target customers for promotional channels like SMS, WhatsApp, WeChat, Line, Kakao…etc? In summary, we do not have time to get ready for this “WAR of MOBILE AGE” as it is already happening. We need to act really swiftly and tactically to win over the competitions. Mobile Commerce is also a key area that we have to pay attention as e-Commerce is so mature in this age! Have a great weekend and I look forward to connecting with you soon! Time to change: NEW Facebook Timeline! Are you ready? After the successful training we co-organized with Tradelink “From OEM to OBM: Selling in China through e-Marketing” Workshop in February, we are excited and going to re-run the training on April 26. We are seeing strong momentum of Adams most popular e-Marketing & Social Media course, the next scheduled class is on May 31. If you have friends whom maybe interested to attend, please help us to forward this information to them. We have recently launched an interesting facebook campaign of a well-known brand from Germany, Dr Beckmann, about their strong product of “Colour & Dirt Collector” (混色洗衫大挑戰). Do challenge yourself to win the prize of the product! Starting from April 1, 2012, Facebook is forcing everyone to migrate to the new “Timeline” look, are you ready? If you are interested on the new Mission Control concept behind the new change, I strongly encourage you to view the insightful videos from the New York Conference of Facebook (http://www.facebook.com/business/fmc). It is great to connect with you again and I look forward to meeting you soon next time! If you are interested to find out more, please do not hesitate to contact us anytime on +852 2723 9977. I am delighted to let you know that we have already successfully trained more than 100 marketeers from a lot of well known companies in the last few months at the “Adams e-Marketing & Social Media” course. If you and your colleagues have not joined, do register soon as seats are always running out! This time, I decide to write to you on the topic of understanding your competition. With the rise of Internet and Social Media, it is becoming clear that it is the most prominent and highly penetrated media of all time. There is no other single magazine or newspaper or TV channels has the same coverage as Facebook in the history of mankind. The critical success factor for “Postmodern” marketing strategy is “how good are you covering the Internet/Social Media with your brand?”. If you have not started the journey, I am sure the market leaders in your industry has already started their strategy sometime during the last 2 years or earlier. 1. Online Survey: Adams has conducted numerous survey for a lot of companies of different industries to get consumer insights, to build up customer database and to push sales. One of the most successful case is that we have gather 8000 fully completed surveys in 8 hours for an international advertising agency of consumer shopping behavior. 3. China Top 4 Social Media Trending Report: Adams is actively working with business partners to provide a very comprehensive view on research data drawn from the top 4 social media in China (Weibo, QQ, RenRen, Kaixin001). By selection of segment demographics, a insightful report based on the data found on these social media will be generated according to the product category of your choice. E.g. It is actually possible to find out what are the most talked about brands among 18 to 30 young people for mobile phone in the last 3 years. If you are interested to find out more, please do not hesitate to contact us anytime on +852 2723 9977 or email: [email protected]. Company/Brands: Are you REALLY FAMOUS online? I feel good writing to you again. We had 2 very successful classes of “Strategy of e-Marketing & Social Media Marketing” happened in the last 2 months at the Mira Hotel Hong Kong with overwhelming responses of over 30 people attended each time. We decided to re-run the training for the third time on Oct 13, 2011 at the Mira again. Please feel free to forward to your friends who maybe interested for us. A topic we talk a lot these days is “Are you REALLY FAMOUS online?” You can be very famous in general and everyone may know your brand or company but yet you can still be NOBODY on the internet!!! Let me give you a quiz to ask yourself to see how FAMOUS are you really on the internet? Assuming you are a brand/company focusing China Market or Tourists coming from China? Can you find your company/brand names on first page of paid advertisements or natural search results of www.Baidu.com when you input them in English and/or Simplified Chinese? Can you find accounts or pages (公共主頁) of your company/brand names on www.RenRen.com when you input them in English and/or Simplified Chinese? Can you find accounts or pages (企業版) of your company/brand names on www.Weibo.com when you input them in English and/or Simplified Chinese? Can you find videos (TVC’s or Product Demos…etc) about your company/brand names on www.Youku.com when you input them in English and/or Simplified Chinese? I personally believe, if you are REALLY FAMOUS online, you need to be found at least on these BIG FOUR categories of networks of the specific country where your target customers are located. For example, in Hong Kong if you are targeting Chinese based customers, we are talking about Yahoo.com.hk, Facebook, Weibo and YouTube. Obviously, it is not as simple as just appearing on these BIG FOUR websites as we are yet disregarding the collective effects of the blogs and discussion forums! Nonetheless, it is the most simplest way to start doing a REALITY CHECK! However, you may argue that it is only applicable for B2C business but not for B2B business! What would you think if you repeat the same exercise with your competitor’s names and brands, then you find out the results are better than yours? I think it is fair to consider you just need to compare with companies of your same category! In the last couple of years Adams has helped different companies to increase their “Online Presence” and “Online Branding“. It is really a PR activity but we are talking about the media is the internet. Sometimes, you need to be extremely cautious about what is happening on the internet as your competitors may do very harmful actions to you without notice!! Hence, you need some mechanism to help you to do the job! We are happy to tell you that Adams is partnering with companies to conduct market research for our customers to evaluate the “Online Presence” or “Online Branding” of any given company or brand names by gathering the results from the major social media networks, blogs, forums and etc. By intelligent knowledge database categorization, we are helping customers to define news and messages appearing on the internet are giving them “positive” or “negative” impact. We are exciting to see this happen as there are no such benchmarking standards available to these dates but the increasing demand for such requirement is high! The exciting thing is you can also measure your regional presence in Greater China. We really hope these kind of service may help us all marketeers to have a better way to manage our brands on the internet and be more objectively measuring the success together! It was such an exciting and privileged occasion to interact with over 30 Sales & Marketing leaders in different industries at Adams e-Marketing & Social Media Training Course on Aug 4, 2011. I personally found the contents and case studies are so interesting to generate some very good ideas for our promotion & marketing programs. With the overwhelming responses, we have decided to re-run the training again on Sep 8, 2011. If you have friends who maybe interested to attend, please feel free to ask them to register on http://www.adamshk.com/events/course20110908.htm or they may find out a bit more on http://goo.gl/DkfXU . By the way, we have a new logo created for the Small & Medium Enterprises website (www.sme.gig.hk), there is a new special offer on the free trial of Photocopier from a well-known brand on the site. You can get a prize of iPhone 4 if you successfully sign contract as a customer. Enjoy the chance! Think Virally to Expand your Business! t has been a great honor for me to have the chance to present at The Entrepreneurs’ Network last week in Hong Kong on the topic of “Think Virally to Expand Your Business!”. We have an overwhelming crowd of over 50 successful entrepreneurs from different businesses gathered at the event. It is my belief now that if you want to be winning in this Internet Age, you have to Think Virally!! We have seen many different successful and famous brands are putting a lot of efforts on social media these days but they are not really thinking virally. A lot of the campaigns we see today are still at the pre-social media stage of just using social media as merely another advertising channel but nothing else! In the last 2 years, Adams has collaborated with different clients to build Facebook campaigns to reach favorable results based only on one single idea,Viral Effectiveness. If it is Viral Effective, it will help you to grow Brand Awareness, Sales and Customer Database at an exponential rate! For example, we helped a sportswear chain during FIFA World Cup period to create a game for people to tag friends on Facebook to form football team to get prize/gift/discount at their chain stores. Imagine the Multiplying Effect of forming just a team of 7 people and the 7 people to form another 7 teams…! I think, by now, you should have got my point if you want to be successful in your sales & marketing campaigns, then you have to Think Virally to Expand Your Business! So, how can we be smarter by giving up the right things at the right moment? The answer is to exercise a prioritization and continuous review process. Prioritization is the best way of strategic planning as well as budgeting. However, we need a continuous review process to ensure we are on the right track as well as looking out for potential risks and macro environmental changes. By far, I think this is one of the simplest kinds of prioritization tool as it is so easy to adapt and expand to multiple dimensions, if you know how. The idea is first to list your options in no particular sequence. By giving a score to each option in accordance with its level of importance within an area of interest, you can instantly sort out your priorities. If there are multiple interests, then we can do the same exercise by allocating the percentage weighting to each interest area, making a total of 100 percent. There’s no limit to the number of areas of interest but the more there are, the less significant they are. I suggest that the maximum number of areas of interest should not exceed five. I learnt this great tool during my good old days of working at Intel. It is particularly useful when you have to draw a clear line during your business planning due to a limited budget.Provided that you already know your priority list (which you could achieve by using taking the results from the weighting table exercise)you can then draw up a budget per item on the list. Next, you just need to draw a line on the priority list when you hit the limited budget amount. When you move the line to a bigger or smaller budgetto see the impact on the potential return-on-investment (ROI), you will be amazed to see the huge variance of ROI in certain cases. Are you really ready to engage with the customers and do business? According to a article onwww.mad.co.uk, Dell managed to make over US$6.5 Million sales throughTwitter alone by end of 2009 and US President Obama is having over 8M followers on Twitter alone. However, Twitter is not so popular in Hong Kong as it does not offer Traditional Chinese interface butAdamsis recommending customersto use Twitter as a connector to multiple Social Media. There are actually a number of way of doing it if you know the right tools. It is highly effective for disseminating your company and product news to multiple channels. Do you know Hong Kong is one of the highest visit location of YouTube? Do you know you can actually post Video advertisements (Traditionally only available on TV) right next to videos of your target customers when they search for interested topics? It can be so targeted and relevant and effective but we do not see a lot of these advertisements yet in Hong Kong. Are you aware that we live inpost-modern age that people enjoy watch videos than purely reading texts? Have you opened you YouTube channel for your company yet, showing demos, advertisements, testimonials, events….to create a prominent online presence? What I am trying to say here is that a lot of companies are lacking behind onusing YouTube tactically and effectively. The potential results can be exponential if you are doing it right. Adams has started helping customer to place their TVC’s on YouTube for quite sometime and the ROI’s are very clear. Earlier,www.renren.com(人人網) has merged withwww.kaixin.comto form the largest Social Media Network in China. On May 4, 2011, RenRen.com has become the first ever Social Media Network beinglisted on New York Stock Exchange raising US$743.4 millionwith highest trading price at US$21.93 on the first day of trading. There are many business implications with its huge growth potentials. If you are planning to reach customers in China, then you really have to understand Sina’s Weibo (microblogging site equivalent to Twitter), Youku.com and Tudu.com (Video Broadcasting sites equivalent to YouTube), Baidu Tieba (China’s largest discussion forum) and a whole bunch of other Social Media Network sites. The competitions are furious and extremely exciting. However, the cost of exploration is not small at all! Adams is actively helping customers to use the most relevant and prominent social media in China to create most effective online presence and awareness. Ultimately, we are living in an Internet Age, people tend to find you through Search Engines and Social Media than anything else. We are talking about Online PR and Online Branding exercise here. It is exactly the same as you would do it in the old days, you need to manage your public facing communications to get the best branding, perception and awareness. If you do not act now, it is going to be too late as your competitors are out there looking for ways to penetrate the market any minute NOW using Social Media. We see a lot of companies have started their effort in testing the effect of Social Media Marketing but we also see too many cases that the companies are not having a clear strategy! If you would like to understand more how to plan your Social Media Marketing Strategy for your special business, please do not hesitate andcontact us on+852 27239977oremail usat[email protected]. If you are interested of any of the above services that help you to grow and develop your market in China, please feel free to contact us anytime on +852 2723 9977 or [email protected] Alternatively, please visit: www.adamshk.com/e-Marketing/china.htm or more information. 關廣智 (www.adamshk.com 首席顧問) Copyright 2010. Adams Business Intelligence | Powered by Mantra & WordPress.